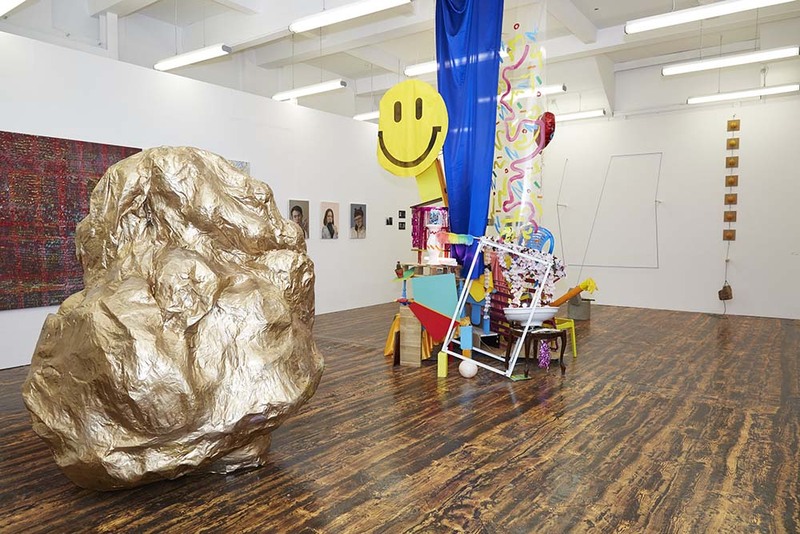 Open to Camberwell BA and MA Fine Art graduates, the Vanguard Prize offers ongoing support to allow one artist to develop their studio-based practice. As well as receiving a year’s residency in the studio space, which is located just over the road from Camberwell in Vanguard Court, the winner also receives continued access to the college’s technical facilities and expertise. The award culminates with a two-week presentation of work in Camberwell Space and the winner is asked to donate one piece of work created during their residency to the Vanguard Court Collection. The Vanguard Prize is open to Camberwell BA and MA Fine Art graduates (graduating 2017) or recent alumni (graduates from 2014, 2015, 2016). The judges are looking for talented artists who can most benefit from the award. Previous prize winners include Queenie Clarke, Alexander Devereux, Murray O’Grady, Philip Li, Philip Booth and Lauren Allen. 2016’s winner, artist Billy Crosby, graduated from BA Painting last year. This autumn he will return to the college with a solo exhibition of the new work at Camberwell Space Projects. We spoke to him about how his practice has developed post-degree, and what his plans are for the future. Coat hook by Billy Crosby. Previous image: portray of Billy Crosby in the studio by Rebecca Guez. Please tell us about your work. How has your practice developed since you graduated from Camberwell last year? I am interested in ideas of illusion and reality. I intend my work to operate as tools for recalibrating perception. Whatever we wish for, anticipate or try to make-believe is aligned with our desires and our actions. I try to disrupt the usual order of things so the viewer becomes aware of how they watch, understand and empathise with things. Recently I have been creating work that is politically-engaged but still drawing on a similar conceptual framework in order to unpick and re-present infomation. Why did you apply for the Vanguard Court Prize? The Vanguard Court Studio Prize is an incredible opportunity to have a professional studio free for a year. I feel like it acts as a bridge or a springboard after university into the real world and has helped me carry momentum forward with my work after graduation. It also offers continued accesss to the workshops at Camberwell College of Arts – a huge privilige which makes an enourmous difference to being able to realise any potential ideas that you may have. Can you tell us how the prize has contributed to the development of your work and career? It has been very enabling. It has given me the time and space to make work! Without it I would have to work more in order to rent a studio, thus having less money and time to spend there – which in London are probably the two main things that hold you back as an artist. In terms of my career, part of the prize is a solo show at the end of the residency, which will be my first and a significant moment for me. Billy Crosby’s work (floor) at the Camberwell Undergraduate Summer Show 2016. How did you expect your first year after graduation to be? Has the experience matched your expectations? I wasn’t sure what to expect, but it has been great so far! The main difference of having a studio practice compared to university is the structure of your life changing. Firstly, your output slows down due to having to make a living, but this gives you more time to think. Secondly, now I’m trying to make work in a room on my own, without any mates… There are positives and negatives to both! What do you have coming up – any exhibitions, collaborations, plans? Have you thought about what’s next for you once the Vanguard residency finishes? The solo show at Camberwell Space Projects opens on the 4 September and runs until the 29. There are a couple of other shows in the pipeline before then but nothing confirmed yet. I would like to do a masters in the near future, possibly in Germany. Billy Crosby’s exhibition runs at Camberwell Space Projects from 4 – 29 September 2017 with the private view taking place on 5 September, 4.30 – 7pm. For more information, visit the event page.